Geology Drift over Underset Limestone series of strata. Record Name Grinton Moor. 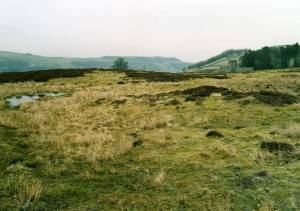 Burnt Mound 200m west of Grinton Lodge. Record Description Large, 10m diameter, prominent burnt mound of characteristic crescent shape with two mounds and central trough. Located at diverted sike, seepage area just 15m west of the unfenced road from Grinton to Redmire. Entirely heather and turf covered, no burnt stone visible. 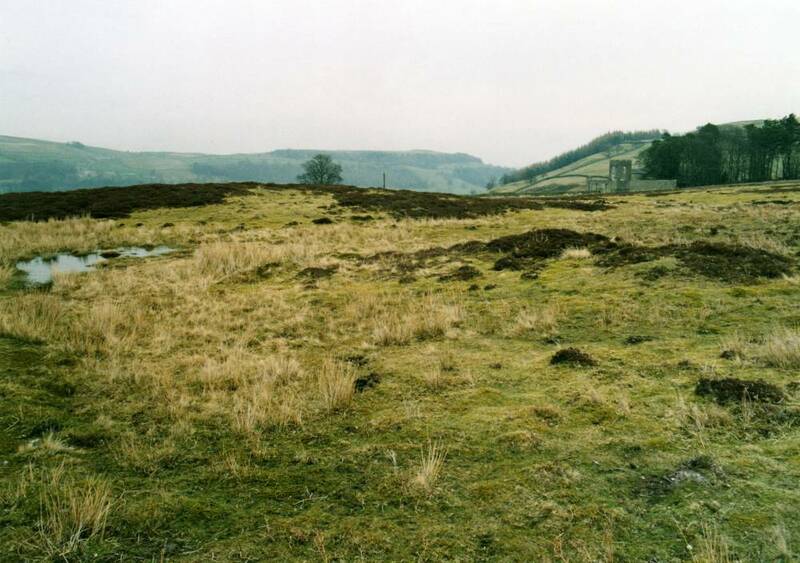 This burnt mound is located 400m west north west of the unenclosed round house settlement of presumed Bronze Age south of Grinton Lodge (GRI006, 3075) and may be associated with this. Elsewhere throughout Northern Britain, burnt mounds are located in close proximity to similar settlements. Image 1 Description Burnt mound 200m west og Grinton Lodge. 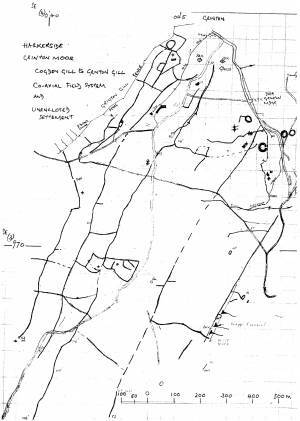 Image 2 Description Survey Plan. Grinton Moor from Cogden Gill to Grinton Gill. 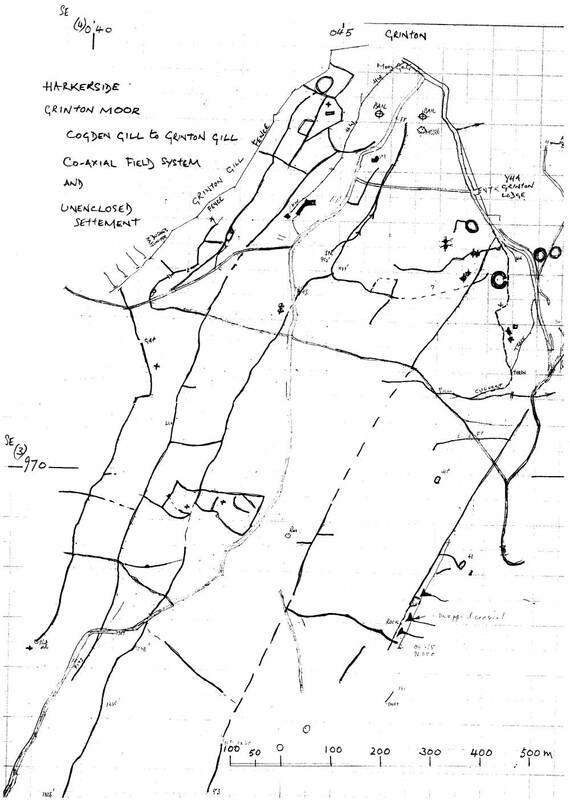 Coaxial field system and unenclosed settlement south of Grinton Lodge.